Over the last decade, these baby carriages have significantly evolved. Past users could relate when we talk about harsh experiences like keeping the stroller from going off the curb, almost as if it has a mind of its own. Another nuisance, the parent would be required to stay alert at all times, keeping a watch on the road to be able to avoid bumps and the likes; it was important that the baby did not get hurt. Thankfully, the latest models of sporty baby buggies have been provided almost-magical features that have customers saying, “Hallelujah!”. Please keep reading to learn more about the best jogging strollers for 2018! Featuring some double runner prams, along with a few single ones, BOB running strollers have acquired more than 4 stars out of 5 on the list of sports prams online. Albeit a little heavy, these carriages come with foldable frames, enabling customers to be able to transport it from one location to another. The BOB pushchairs also have shock systems, preventing the passengers from getting harmed. 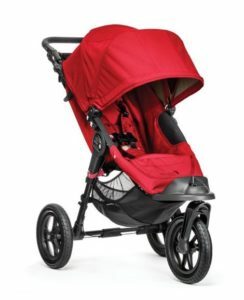 Including high profile tires that facilitate comfortable strolling on the streets, the BOB joggers have their own Ironman, an excellent yellow or red or pink stroller. These prams have retractable canopies, a few of which could be removed and washed with ease. These oversized shades keep children safe from dust and the glaring sunlight. Now, mothers need not worry about their children getting tanned. With all the available models having a face-forward orientation, the BOB runners have been deemed reliable by various customers. With some of their models showcasing belly bars, most of the Baby Jogger carriages have received 4.5+ stars from their users. Probably some of the lightest prams are available among the different models of Baby Jogger joggers. A couple of them come with canopies that are large enough to provide shade to the passenger inside. Thanks to unique features like peek-a-boo windows, which allow the parent to keep an eye on the infant inside, these prams are quite famous among the customers. The Baby Jogger City Mini Single model holds one of the top positions of the best stollers list on Amazon, BestBuy and other retailers. 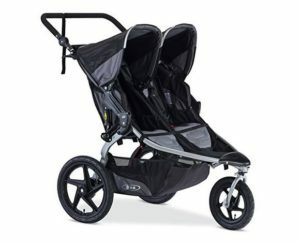 Quite unusually, the front of several running strollers from this brand has double wheels. Along with facilitating motion, these wheels also ensure a shock-free ride. Despite being small, the wheels are durable, containing swivels that are lockable. We have reviewed 3 other models from this vendor – City Mini GT Double, City Mini Double, and City Classic Single. Presenting lightweight frames that are eye-catching, the Schwinn stroller for running come with front wheels that could be locked without any difficulties, preventing swiveling on the roads. 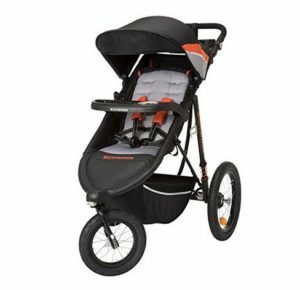 Some carriages like Schwinn Turismo Swivel Jogger come with inbuilt speakers, which keep the little passenger busy while the others go for a long walk or sprint. While the handlebars provide comfort and a good grip on the jogger, the wheels are wide and big. This helps the user push the stroller through a street, despite the rocky state of the ground below. Additionally, the child in the jogger manages to avoid getting hurt due to the bumps on the roads. Gifted with a child tray that contains a flask holder, almost all the Schwinn running carriages have earned at least 4 out of 5 stars, on the list of perambulators on popular shopping site. A few of the models include double strollers, which are helpful for parents with two children. 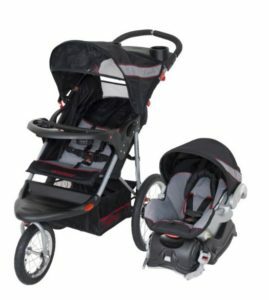 Families with twins will be pleased with the InStep running strollers, as some of their collection includes joggers for two. Even though the plastic protection on top of the canopy may not be to some customers liking, they ensure the safety of the child. They would be blocked from harsh weather and air pollution, both of which could prove to be worrisome for parents. Every InStep jogging stroller is equipped with a large parent tray and a child tray too. The double buggies have two child trays, allowing both the infants to have their personal space. Featuring a front wheel lock system, the InStep running prams are easy to maneuver on the streets. Available in various colors, these joggers are foldable too. Available at terrific prices, the InStep prams are quite light. This enables the customers to carry them from place to place. The joggers like InStep Suburban Safari Double Jogging pushchair are well padded, providing the passenger with a comfortable seat. 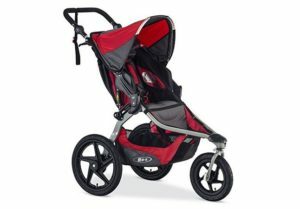 Having rated with 4+ stars by users, the Baby Trend strollers for runners have a wide range of models. While some of them are single joggers, others have been manufactured for holding two passengers at once. Being quite sturdy, the joggers are prevented from toppling sideways if the child tries to get out. 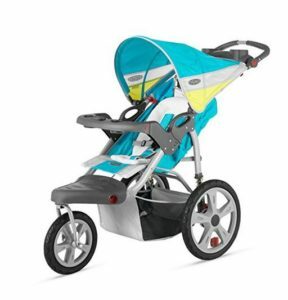 The Baby Trend Expedition LX Travel System is one of the running push-chairs, which includes a large parent tray. Featuring a quirky design, this model is similar to a double pram, having been made up of a stroller and a safety seat. Also containing MP3 systems that are built in, the joggers from this brand allow easy steering on the roads. Moreover, the several safety harnesses ensure that the kids are seated safely, without being at the risk of falling out. 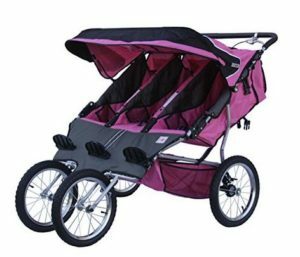 Sporting large canopies to provide shade for the passengers, these double jogging baby buggies have been rated as the best models in 2018. Perfect for handling two children at once, the Graco Duoglider Folding Double pushchair has a remarkable star ratings. On buying this jogger, the user receives a free infant car seat. Also having obtained astounding star ratings, the Bob Revolution SE Duallie model does not weigh too much. Promising a warranty for five years, this pram has a lockable front wheel. Both Britax B-Agile double pushchair and Joovey Scooter X 2 twin pram have oversized canopies, enabling babies to be safe from the glare of the sun. The Summit X3 could be operated with the help of a remote control. Besides, the Joovey Scooter X 2 and the Summit X3 twin prams could bear up to ninety pounds each. Enabling the user to take three young kids or triplets outside, the Baby Jogger Summit 360 Triple Jogger, the by SafeTech Triple Jogging Stroller and the BeBeLove USA Green Triple Jogging Stroller have been nominated as best triple joggers of 2018. Handy for containing all three children at once, in a safe manner, these running buggies come with large parent trays underneath. Additionally, they have enough safety harnesses which confirm the kids’ safety. Featuring good brake systems, these joggers are comfortable to maneuver, even between crowds on the streets. All three seats on the joggers are spacious and separated from one another, which ensures that no child affects the other. Also, this helps the children interact with each other in a laid-back manner, from their own seats. The canopies are retractable and could be adjusted according to the user’s wish. Moreover, these triple running strollers come with four wheels, helping the user in steering the carriage around curves and corners without much effort.